The Spar is rich in Tacoma history and the oldest bar in that city -- at least by a certain reckoning. 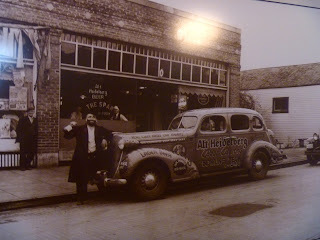 It is on the site of the original Old Tacoma Bar, established 1884, which served as a house of ill repute until Washington State enacted prohibition in 1916, whereupon it was torn down. 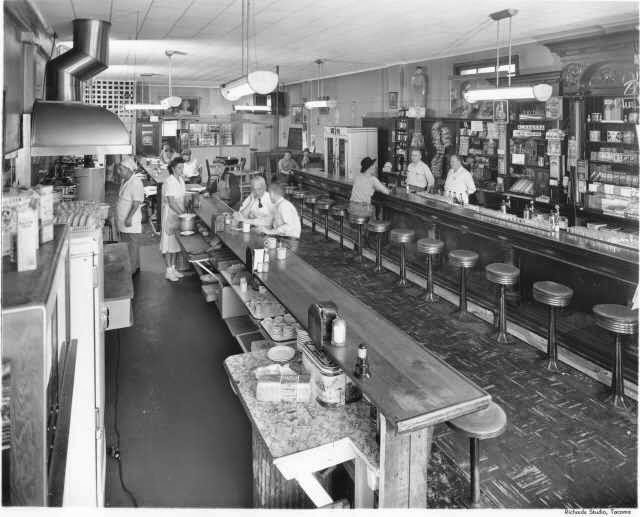 A new structure was built the following year was operated by the Radonich brothers as shop selling men's furnishings, billiards, and soft drinks (and apparently some less legal methods of quenching one's thirst). 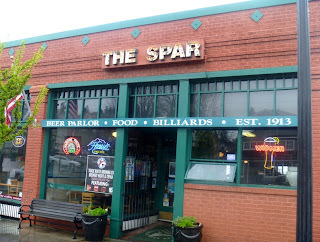 It was named The Spar by the 1920s, and became a bar again with the national repeal of Prohibition in 1933. A remodel in 1988-89 opened up a back room and view of Commencement Bay to customers. 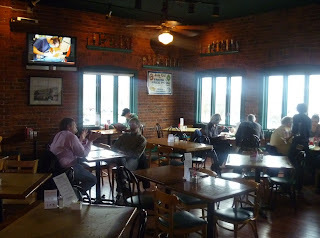 It is now a very comfortable tavern and restaurant in the heart of Old Tacoma.